Let your sims get a "second home"! WARNING - This is a Global Hack: it will affect all your lots in all your neighborhoods; it can be exported with your lots (always use the Clean Installer!). Tested with Apartment Life: when used in an apartment lot, this hack allows your sims to sleep in your neighbor's beds and sofas (and the opposite: your neighbors can sleep in your bed ). Moreover, sleeping is allowed to anyone in Witches' secret lots. Many users want to have a "second home" for their sims; a Business lot is good for that (or even a normal Community lot, if you don't have OFB), but unfortunately sims can't sleep on Community/OFB lots. OFB Sleep on Community Lots (by Echo @ MTS2) -> This is not compatible with Seasons and is officially discontinued. Community Lot Sleeping (by Squinge @ Insimenator) -> This requires OFB, is not compatible with Season and applies (purposely) only to OFB lots. 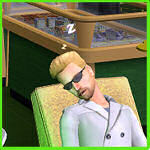 Sleep and Napping Enabled on Community Lots (by jfade @ DJS Sims) -> Requires OFB, not comp. with SSN. Plus, another hack that I won't mention because it's a pay content, and I couldn't even test it; I only know that it is a bunch of hacked beds, more than a global hack. It's fully compatible with any game configuration, from base-game up to Apartment Life; the hack will recognize your game version and will act accordingly. Full support for Sleep and Nap on any (Maxis or custom) bed, sofa, loveseat, recliner/long chair, coffin and hammock; none of the mentioned hack would allow napping on long chairs or coffins (one enables the sofas, though). Full support for Sims, Servos, Vampires and Pets. Very simple: extract the package from the zip and put in your Downloads. Then, whenever you go to a Community/OFB lot, you will be able to sleep and nap at will. To uninstall, just remove the package from the Downloads. Create a community lot on the neighborhood, enter it in build mode and create a house shaped like a residential home. Since you have OFB, you can access all the residential objects from the catalog, including beds. Alternatively, if you have an already-made empty residential house that you would turn into a "second home", enter it in build mode, open the cheatbox and type exactly changeLotZoning community, then SAVE the lot and go back to the neighborhood. Enter the lot where your sims live, and order to one member to call the Real Estate and purchase the "community" lot that you have built/converted. Call a taxi and transport the whole family to your new "second home"
If you don't have OFB. Create a community lot on the neighborhood, enter it in build mode and create a house shaped like a residential home. In order to access the residential objects and put them into the community lot, you might need the Residential-to-Community Collection (by Loverat) and optionally (if you have NL) the Cars at Community Lot Collection (by Morten8035). Alternatively, if you have at least ONE EP (any one) and you have an already-made empty residential house that you would turn into a "second home", enter it in build mode, open the cheatbox and type exactly changeLotZoning community, then SAVE the lot and go back to the neighborhood. Enter the lot where your sims live, and order to one member to call the taxi and transport the whole family to your new "second home"
Keep in mind that you can't save when on a community lot, so you have to go back home before shutting down the game. When your family is on the "second home" lot, you are considered "on vacation": no school, no job and no earnings (but no bills, either!!!). I could manage to place ownable cars in the second home, but they are NOT usable. You can't build skills on community lots, and neither you can in your second home. You need a hack like the "Comm-Skilling" by JM Pescado (download it here: choose the versions suitable for your game). Unwanted (but useful) side effect: you can sleep on your own OFB shop, even if it's not built as a second home. 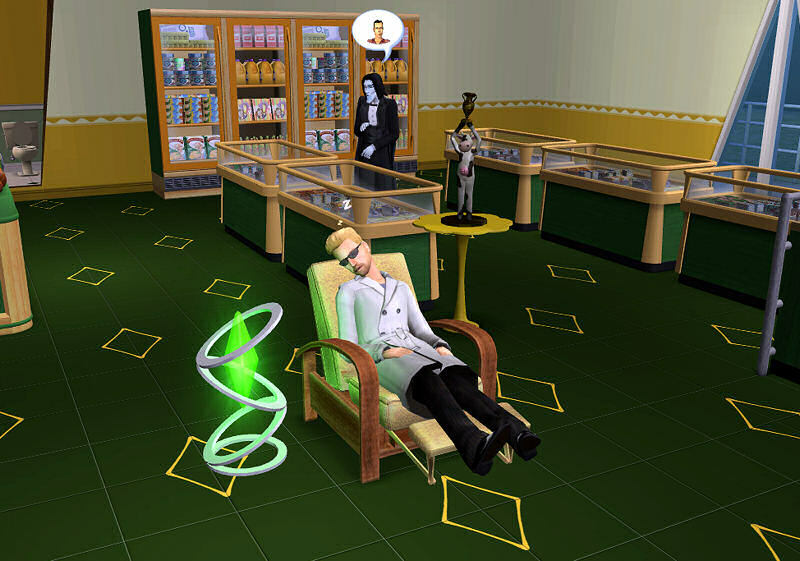 Another (useful) side effect: townies that come visiting you in your "first" residential home will be able to nap on sofas and recliners (though NPCs prefer to go away, instead of sleeping/napping). In my tests, apart from driving cars and building skills, I could do almost everything in such a second home, but of course your tests and reports will be precious! I've created this hack by myself (as anyone can verify looking at the code); nevertheless, I want to grant full credits to Echo, Squinge and jfade (and possibly others?) for the idea of enabling the sleep functions on community lots. Many thanks as usual to Quaxi for the SimPE and to Peter & Inge Jones for the PJSE plugin for SimPE.